A picture may be worth a thousand words, but as Ansel Adams once stated, “When images become inadequate, I shall be content with silence.” Fortunately, this week’s OneSix8 highlights two art events worth talking (and of course, writing) about. A new project and related opening exhibit of photographic portraiture from Kuwaiti- born photographer, writer, and humanitarian Yusef Khanfar has already been the topic of much discussion in Oklahoma. For nearly 4 years Khanfar turned his camera on women serving time in Oklahoma for so-called ‘nonviolent’ crimes. The result is Invisible Eve, a collection of starkly intimate black-and-white portraits of these women, each accompanied by personal messages and even words of advice to anyone considering risking their own freedoms through poor choices. For Khanfar, who first came into prominence by way of his colorful landscape photography, Invisible Eve was unlike any of his projects to date. 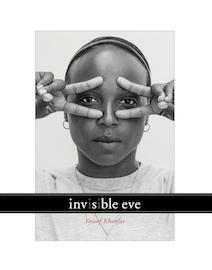 Tonight’s Invisible Eve opening reception is from 5:00 p.m. to 8:00 p.m. at the Gaylord-Pickens Oklahoma Heritage Museum in Oklahoma City. Another event with lots to ‘say’ is The Journey of an Artist: Past, Present and Future. This lecture event features a panel of resident artists/art experts (Marko Kratohvil, George Oswalt and Laura Warriner) prepared to “candidly discuss aspects of what it means to be a practicing artist in 2013”. In addition to touching on “universal issues that affect most artists”, the panel also hopes to give voice to the audience by allowing for Q & A and back-and-forth examination of best practices. The Journey of an Artist: Past, Present and Future begins at 6:00 p.m. at [Artspace] at Untitled and is free and open to the public.